Rice and knives! Our new film about uzbek knives. Subscribe to our newsletter to receive exclusive promo-codes and special offers! Филейные ножи и ножи для тонкой нарезки. Кухонные ножи, часть 4. Нож шеф-повара и сантоку. Кухонные ножи, часть 3. Виды кухонных ножей. Часть 2. Универсальные ножи, хлебные ножи. Виды кухонных ножей и их назначения. Ножи для овощей. Limited Edition Miyabi knives are at stock! 14 февраля или нож Амура. Лучший подарок женщине. Обзор керамических ножей Kyocera. Нужен или нет керамический нож? We are finnish company Lämmin Tuuli OY, founded in 2011 (VAT FI 24322020). Lämmin Tuuli OY also is an owner of http://www.autoterm.eu. Carl Linder Nachf; Puma Knives; Deejo ; Custom Knife Factory ; ICEL; Opinel; Camillus ; Tramontina ; Miguel Nieto ; Böker ; Zwilling (J.A. Henckels) ; WildSteer ; Claude Dozorme ; Seki Kanetsugu and other. You can find all brands at main page. We ship worldwide. You can check information about shipping in “Delivery”. Shopping on MyGoodKnife is absolutely safe. MyGoodKnife is secured with SSL (Secure Socket Layer) certificate by Thawte. Our webshop is encrypted with 128-bit SSL protection. So your personal data and payment transaction is completely secure! We also will be glad to see you in our stores in Finland. In MyGoodKnife stores you will find a broad variety of knives for all kinds of application and choose a product suiting your personal needs. 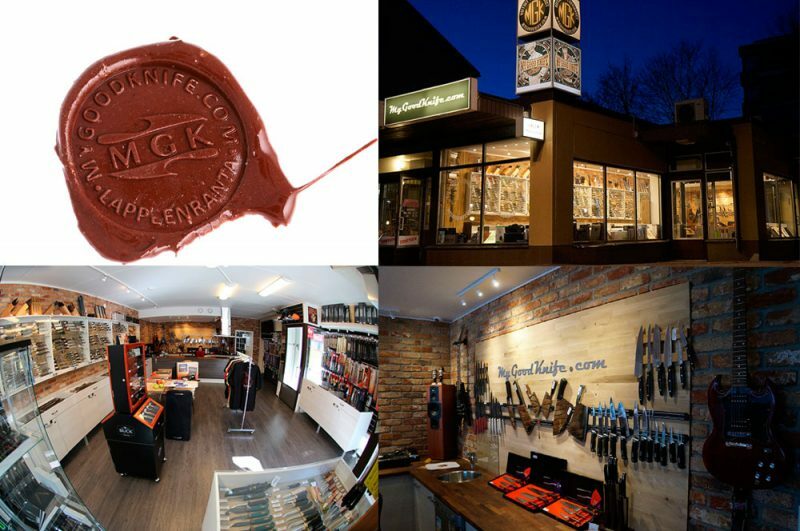 In August 2014 we opened our first knife store in Lappeenranta on Valtakatu 52. In May 2017 we opened new store – in Helsinki, on Mannerheimintie 52.
have a pleasant talk to nice and interesting people on the background of good music we love so much. Our stores in Lappeenranta on Valtakatu 52 and in Helsinki Mannerheimintie 52 is open: monday-friday: 10-17. Our internet-store works 24/7. We do not sell counterfeit. We do not sell goods if we are not sure in their quality and we do not sell goods we don’t like. 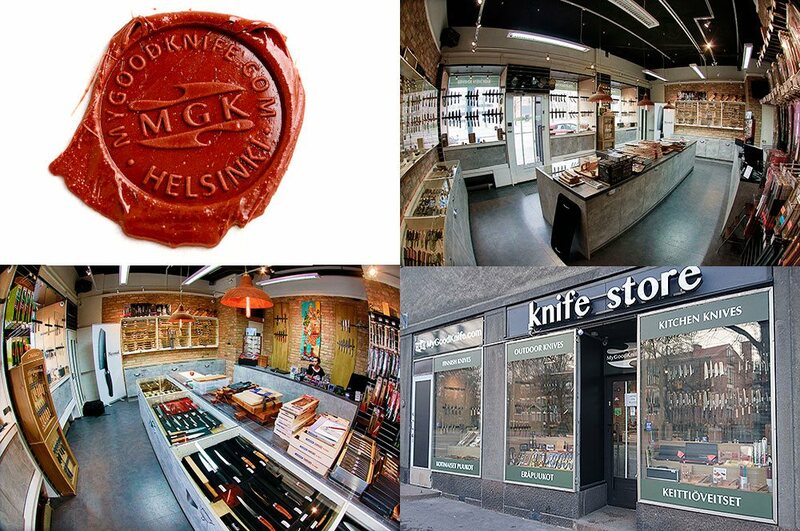 All the knives presented in our store come either directly from the manufacturers or from reliable sources.